building in Paya Lebar for the rest of our lives. 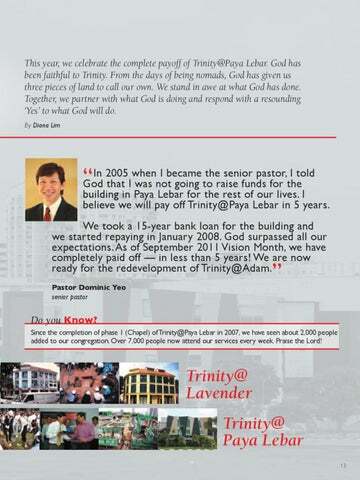 I believe we will pay off Trinity@Paya Lebar in 5 years. We took a 15-year bank loan for the building and we started repaying in January 2008. God surpassed all our expectations. As of September 2011 Vision Month, we have completely paid off — in less than 5 years! We are now ready for the redevelopment of Trinity@Adam. Do you Know? Since the completion of phase 1 (Chapel) of Trinity@Paya Lebar in 2007, we have seen about 2,000 people added to our congregation. 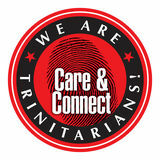 Over 7,000 people now attend our services every week. Praise the Lord!